Arnaud Mortet makes a selection of the best sectors of En Champs for this bottling, notably the upper part of the vineyard just below 1er cru Champeaux, and all from very old vines. This has a perfect bright purple colour, brilliant perfume of black cherries with some red fruit notes. It is gracious, fully ripe, superbly silky and in no way heavy, with fresh mineral notes on the finish. 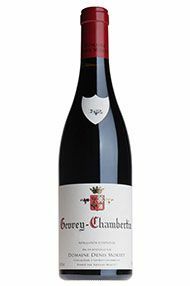 The Wine Advocate - The 2010 Gevrey-Chambertin En Champs comes across as sleek and polished. Dark red cherries, flowers and mint are some of the notes that emerge from this textured, deep Gevrey. This is a decidedly big wine next to the other Gevreys and is one of the very few wines where the new oak (60%) is felt. This parcel of 70- year-old vines is on the Brochon border. Anticipated maturity: 2017-2029. Burghound - Here the nose is similar to that of the old vines Gevrey with its very ripe yet very fresh aromas that offer fine breadth and depth. The rich and substantial flavors possess excellent phenolic maturity to the structural elements that are quite firm but well-integrated as they're thoroughly buffered by the impressive amount of dry extract. This is beautifully well-balanced effort is a superb villages and recommended. Wine Spectator - Very fresh and scented. Lots of beguiling ripe fruit. Very energetic and racy. But it demands time. Clive Coates - Medium-full colour. Quite rich on the nose. Stylish and profound. Medium-full colour. Fresh succulent fruit. 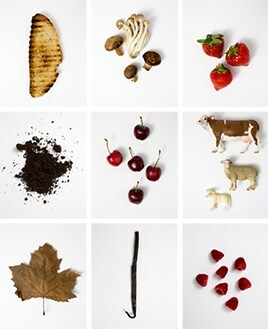 Balanced, elegant, long, complex and composed. Lovely fruit. Fine. Domaine Denis Mortet in Burgundy was founded by Denis Mortet in the early 1990s. He died at the age of 51, after taking his own life in January 2006. In his brief, but highly acclaimed passage from the winemaking scene, he rose to become a colossal figure in Burgundy, fashioning wines from relatively modest vineyard holdings which punch far above their weight. He rose to fame with an exceptional range of wines from the 1993 vintage. He believed with a deep passion that the work in the vineyard was everything. But there was an essential contradiction to his work: he yearned to make wines of finesse and style, but everything he did in the vineyard and cellar tended towards sumptuous wines of almost unparalleled weight and opulence, which achieved cult status and a devoted following. But the harder he drove himself, the further from his stated aim he went. Only now, under son Arnaud and the watchful eye of his mother Laurence, are the wines achieving the minerality and elegance (and seemingly without sacrificing weight) that Denis sought. At the domaine everything starts in the vineyard, where every measure is taken to produce the finest, ripest fruit possible, creating a style of wine which, as Denis used to say is "a pleasure to drink young or old." This is an estate of young vines - 25 years old - and where village wines are tended as if they were a Grand Cru; thus all the reds see 100% new oak. Denis Mortet's immaculate vineyards are the key and no stone is left unturned in the pursuit of excellence. The number of cuvées of village Gevrey has fluctuated in recent years. It was reduced to just one in 2005, two in 2006 and then expanded again to four in 2007: Gevrey on its own, Combes Dessus, En Champs and vieilles vignes. Other cuvées which have appeared from time to time include En Motrot, En Derée and Au Vellé. The Domaine's 10 hectares encompass 14 different Appellations, including two Grands Crus - Clos-de-Vougeot and Chambertin - and are a far cry from the days of his father, Charles, who started off with only one hectare.